Stanley’s favorite dancing artist is returning to Stanley for another impressive live art demonstration! Please join in the community area at Stanley for this unique live art-making experience. Rudi Monterroso is a painter and a flamenco dancer. 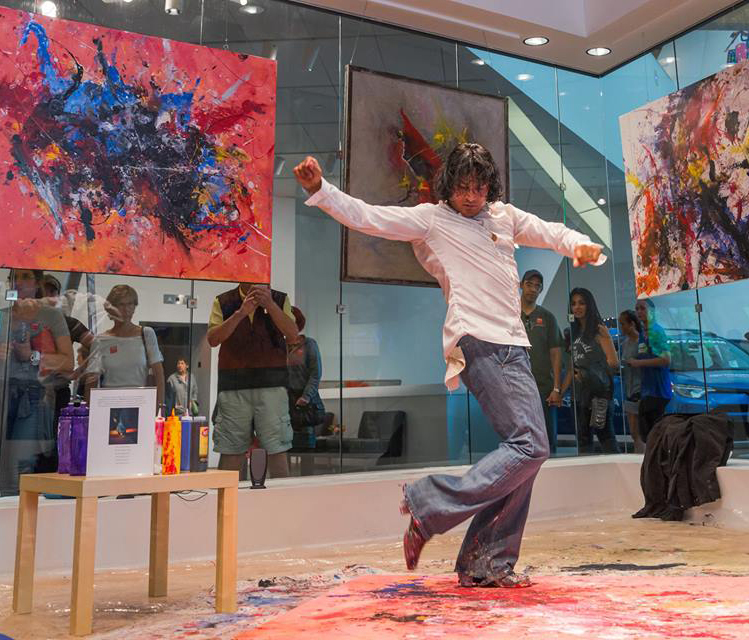 Watch him create abstract expressionist works by painting with his feet while he dances and moves. His works developed as he explored ways of bringing mindful awareness into his art practice, using the artist’s or dancer’s body and tools as a way to both record and examine the ephemeral nature of human presence.